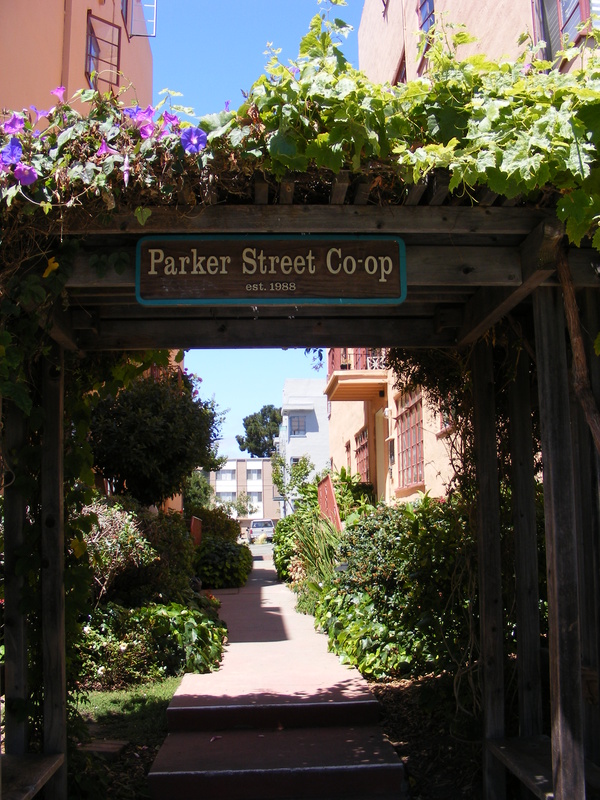 The Parker Street Cooperative is a 24-unit limited equity housing cooperative in Berkeley, California, established in 1988. The Parker Street Co-op is a 24-unit co-op composed of studio and 1BR apartments. The Co-op is a non-profit corporation owned by its owner occupants. We purchase shares and rent back to ourselves. Members give at least 90-day notice when they leave, and no departures are known at this time. We will announce future openings and any information about tours or information sessions that go along with those. We don't have tours or information sessions at other times due to limited volunteer resources. Thanks for your understanding! 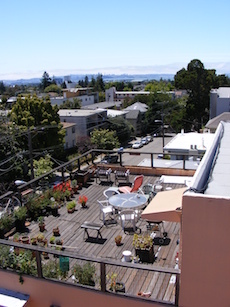 The coop: We are a limited equity coop of 24 units in two buildings convenient to BART and public transportation in downtown Berkeley at 2335-2341 Parker Street. The coop is owned by a non-profit corporation whose only members are its shareholder residents, and we are ages 12 to 85. We buy our shares at a modest rate and agree to limits on their price when selling them later. The current share price is about $21,000 for the 1BR share, with a monthly assessment for common expenses of about $500 for the 1BR unit. Food is not included in the shared expenses, and we do not do shared cooking other than one shared meal per month that is a potluck. We live simply and co-own/manage the property together to keep it affordable for us and for those who come after us. Questions? E-mail parkerstreetcoop@yahoo.com. We only do information sessions or tours when a unit is available. Applications: Download an application in PDF format or Word format. We'd greatly prefer that you send it to us in Word format, as the files are smaller and easier to handle than PDF. All are welcome to apply. We seek people who are ready and able to be owners and to invest the time and skill it takes to self-manage our coop together. To be added to our e-mail list, contact parkerstreetcoop@yahoo.com. 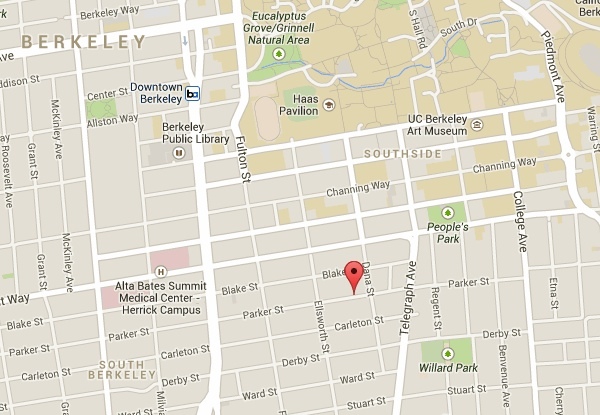 Thank you for your interest in Parker Street Limited Equity Housing Cooperative! 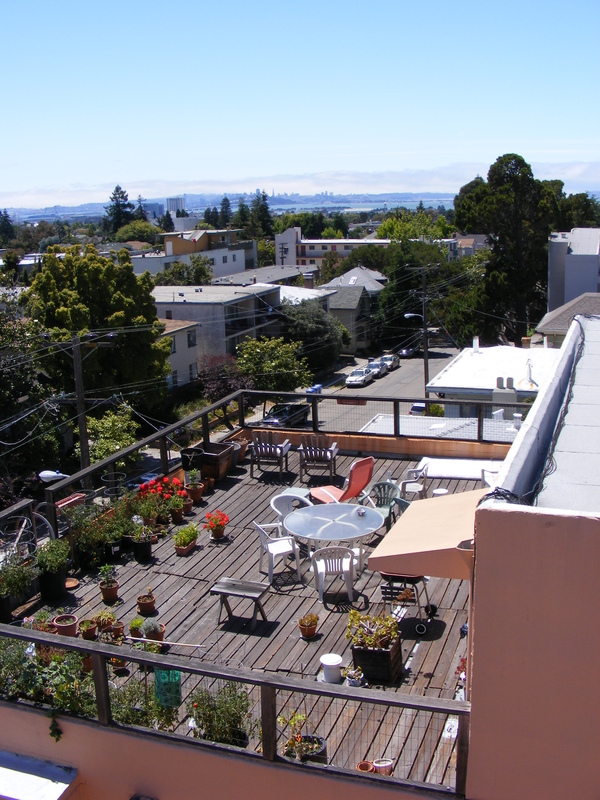 Other Resources: If you are looking for housing in the bay area now and are interested in other community-focused or moderate cost opportunities, consider visiting coopnetwork yahoogroup, EBCOHO meetup group, SF Chalkboard, Northern California Land Trust, Bay Area Community Land Trust, and the below market housing website for each county in the area. Or consider getting a group together to start something new! EBCOHO and Coop Network have helped groups to do that in the past.